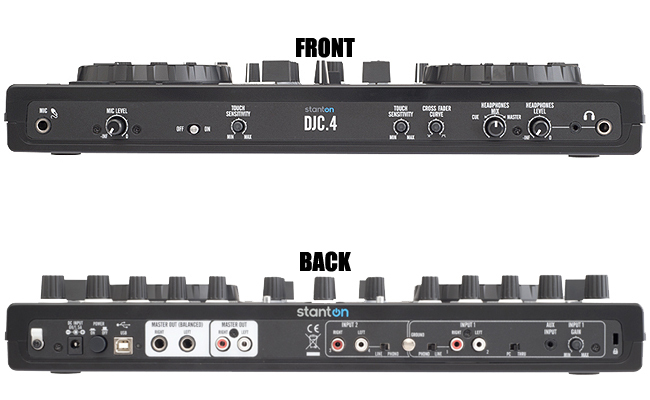 Stanton DJC.4Stanton's new DJC.4 is a complete solution for today's digital DJ. 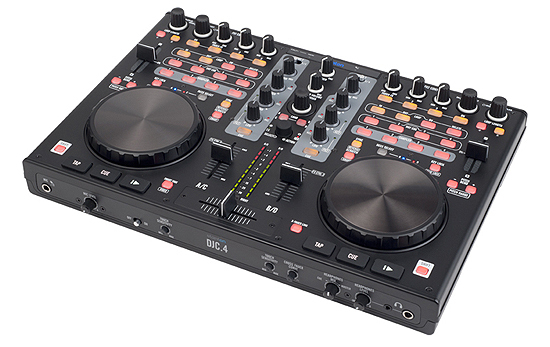 Bundled with an enhanced 4-deck version of Virtual DJ® LE, the DJC.4 allows users to scratch and mix 4 decks of audio, as well as control video. 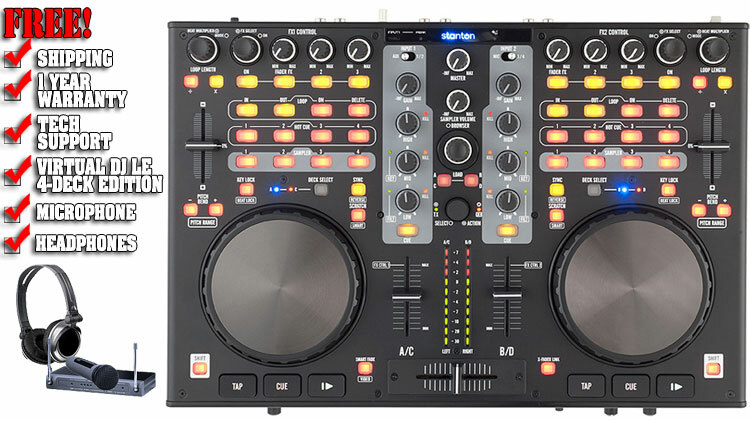 The integrated 4-channel audio interface allows users to integrate analog turntables or CD decks into their performance, and the large touch sensitive jog wheels make for extremely tight scratch and pitch bend control.